Admission: From $29.95 (discounted rate for seniors, students, children 4-12), free for children below the age of 4. Opening hours: Friday and Saturday 10am-10pm, all other days 10am – 8pm. Often imitated but never bettered, Madame Tussaud was the definitive originator of creating human sculptures in wax. The global company originally began life as a one-woman operation in London at the end of the 18th century; a time before our current obsession with celebrity. Without Kardashians or popstars to craft, Madame Tussaud herself favored creating historical figures. She started off with significant individuals from the French Revolution, and then progressed to making facsimiles of those involved in major crimes; both victims and perpetrators. When she exhibited them in her original museum in Baker Street, London, she could never have envisaged what her humble company would one day become. There are Tussauds exhibitions in many of the world’s major cities, but none can rival the sheer scale of New York’s. 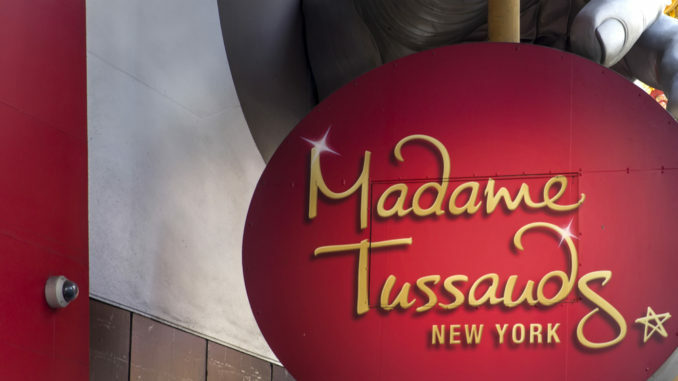 The Times Square establishment has five entire floors of waxworks, encapsulating the great and good, the not-so great and good, and the downright devious. Every sculpture is a labor of love, created over weeks and months, using the precise measurements of the individual being immortalized. Factoring in the cost of labor, every sculpture is valued at more than $300,000. Tussauds is especially popular with the young, so take care to schedule your visit away from school holidays. Many of the several-hundred famous figures on display have been especially posed for you to take pictures with them. They may even fool some of your friends on Instagram!